From swimming pools to raised gardens, spring projects are an opportunity to change the exterior of your home for the better and even improve the value of your property in some cases. However, making significant changes to the outside of your home may alter your insurance needs. Before you begin any new project, you should consider your current home insurance and determine whether any changes need to be made. Before you can determine how your project will affect your home insurance, you must first understand how home insurance policies work. The primary component of your home insurance policy covers your dwelling itself. 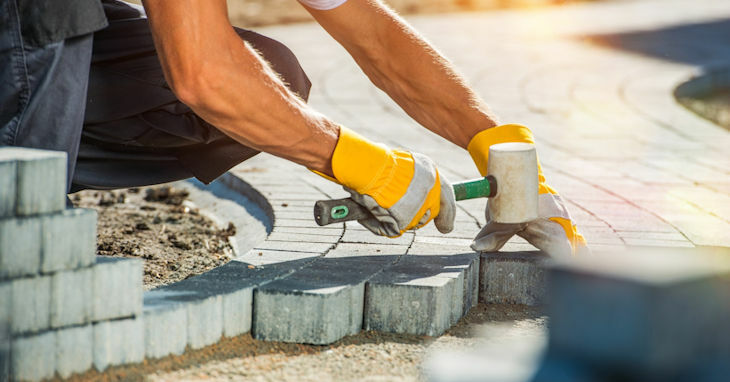 Home insurance policies also include coverage for the other structures on your property, which often encompasses the results of outdoor spring projects. Projects that are typically covered by standard home insurance policies include pools, garden sheds, decks, garages, gazebos, and fences. However, certain types of projects are not covered by the standard home insurance policy. These projects include fire pits, hardscaping, raised gardens, trees, plants and any other project that focuses on making changes to the land, as opposed to creating a permanent structure. If your spring project qualifies for coverage under your current home insurance policy, the amount of coverage available will depend on your policy’s limits. In most cases, the limit of the portion of your policy that covers outdoor structures will be calculated as 10 percent of the limit on your dwelling coverage. However, some insurers may use a different percentage to calculate this coverage amount. In some cases, the coverage amount provided by your current home insurance policy may not be sufficient for the spring project you hope to complete. For example, if you are putting in an expensive outdoor kitchen, the current coverage provided by your policy may not be enough to replace it in the event of damage or destruction. If so, you should consider raising the limits of your coverage to ensure that your investment will be protected. In addition to considering the amount of coverage your current home insurance policy will provide for your project, it is also important to think about the possible underwriting implications your project may have. If your project involves any structure that poses safety concerns, your insurer may not be willing to cover it unless it meets certain standards. For example, outdoor kitchens and fire pits must often meet clearance requirements. Likewise, pools must often meet requirements with regard to fences, covers or other specific characteristics in order to be covered. In some cases, pools may not be covered under your home insurance policy at all. Talk to your insurance agent to learn more about the requirements and provisions of your policy. If you are planning to complete a spring project at your home, you need to discuss the issue with your insurer before you begin. Contact Noah Insurance today to discuss your needs.